“The whole financial system’s rotten and it’s rotting the political system. We’ve got to get control of it before it tears the country apart.” Isabel Aragon Tennyson is heiress to a family fortune built upon the criminality of its Mexican conglomerate. After her election as president of the United States, “Tenny,” as she is popularly known, embarks on a fearless crusade to rein in the financial and political power of her own family’s company and others like it in the U.S. and around the world. But she is up against a ruthless international conspiracy determined to destroy her first. The ensuing conflict results in assassination, impeachment and murder. 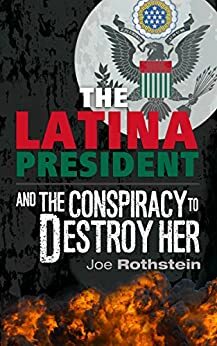 The Latina President is not a true story. But it could be. Its themes and conflicts are as current as today’s headlines and newscasts. 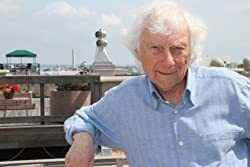 The story skims the surface between fiction and reality, told by an author who himself spent decades immersed in the tense and turbulent world of high stakes politics. The Latina President is suspenseful, topical, important. And it’s one hell of a good read. And One Hell of A Good Read! For more than thirty years, through over two hundred campaigns, Joe Rothstein was at the center of U.S. politics. Rothstein was a strategist and media producer for United States Senators Tom Daschle of South Dakota, Patrick Leahy of Vermont, Don Riegle of Michigan, Bob Kerrey of Nebraska, Tom Harkin of Iowa, and many others in the campaigns that brought each of them to the U.S. Senate. At its peak, Rothstein & Company could count 10 percent of the Democrats in the U.S. House as his clients. His TV commercials have won many national awards, including the gold medal at the Houston Film Festival. In addition to his work for candidates, Rothstein has consulted and produced media for dozens of commercial and non-profit clients and he has been a featured political analyst on network television and radio. Rothstein is a former editor of the Anchorage, Alaska Daily News, and he is currently chairman and editor of the international news aggregator and distribution service EINNEWS.com. His political opinion columns are published at www.uspoliticstoday.com. Joe Rothstein lives in Washington, D.C., with his wife, Sylvia Bergstrom.